Have you tried every fitness plan and protein-packed diet, but can’t seem to get the sculpted chest and abs you’ve always wanted? Finally, targeting your problem areas is possible with Smartlipo treatments. Laser liposuction is recommended for healthy individuals who are not significantly overweight, but can’t achieve their desired results with diet and exercise alone. Smartlipo laser body sculpting is a minimally invasive procedure that removes fat from your problem areas including the chest, abdomen, neck, jawline, arms, and legs. The laser energy liquefies fat cells, which are then removed from the area using suction. In addition, Smartlipo laser liposuction stimulates new collagen production to tighten the remaining skin. Smartlipo treatments allow you to achieve smoother and firmer results than surgical liposuction after only one treatment. How is Smartlipo Different from Surgical Liposuction? Smartlipo laser body contouring is a less invasive way to achieve results similar to those of surgical procedures. After undergoing surgical liposuction, patients often need follow-up surgeries to remove excess skin from the area. During Smartlipo treatments, not only is extra fat is removed from the area, but the laser also stimulates collagen production to tighten and smooth out the remaining skin. Since laser liposuction is minimally invasive, patients recover more quickly from the procedure. Smartlipo laser liposuction is performed under local anesthesia to alleviate pain and discomfort. Some soreness will occur, but because laser body sculpting is minimally invasive, patients can recover at home following the procedure. Most people can go back to work within a few days and return to exercising in about two weeks. Results start to appear in the week after treatment, with the best outcomes visible in the next three to six months. 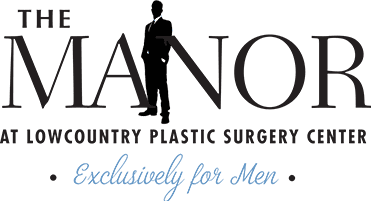 Contact The Manor at Lowcountry Plastic Surgery Center today to learn more about how Smartlipo laser liposuction can help you look your best!